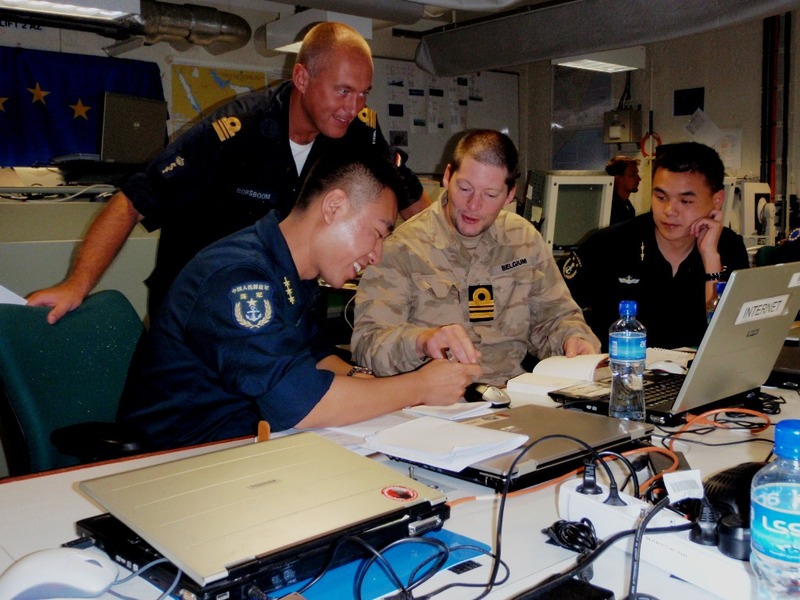 This weekend, a rare meeting occurred at sea, as a high ranking officer of the Chinese Navy met with his counterpart from The Netherlands on board of the Dutch frigate Evertsen in the Gulf of Aden. Both navies are involved in the fight against piracy in the waters around Somalia. The interest of China in the region is the same as that of other nations and coalitions: to guarantee a safe passage of merchant vessels through the Gulf of Aden and the western part of the Indian Ocean. This is a vital route for world trade, as about one-fifth of the total volume of sea transport goes through the Gulf and the Suez Canal and vice versa. And while the activities of Somalian pirates may have disrupted some of the trade, the pirates have also, and no doubt unwillingly, forged an informal alliance of the navies of many countries, including the U.S., the E.U., NATO, China, India, Iran and Russia, to mention but a few. Still, Commodore Pieter Bindt told Radio Netherlands that, just a few years ago, he could never have envisioned meeting a Chinese counterpart like Rear-Admiral Wang Zhiguo on board of a Dutch navy vessel. 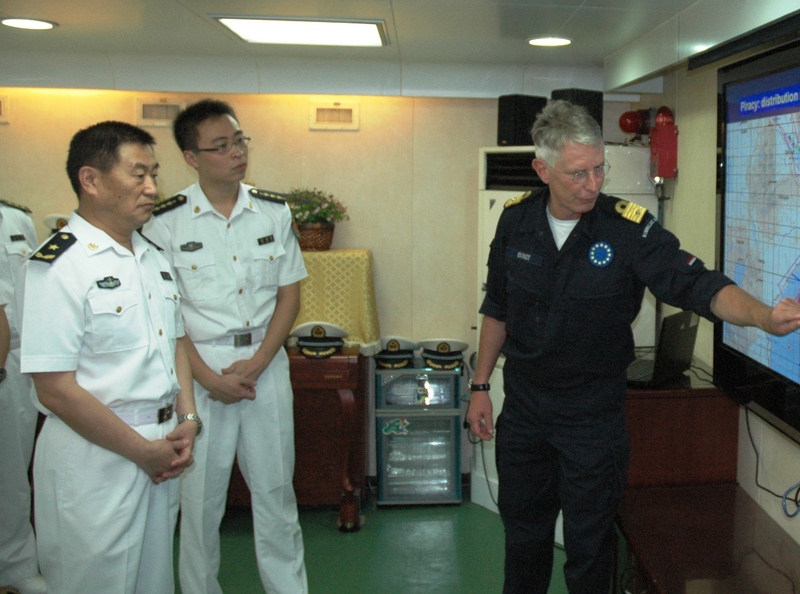 On board of the frigate HNLMS Evertsen, Rear-Admiral Wang Zhiguo was shown around the ship and briefed on the EU Operation Atalanta. Two Chinese officers stayed behind to spend the night on board the ship and get to know it better. Likewise, two Dutch navy officers spent the night on the Chinese frigate Zhoushan. While these may be small-scale activities, they appear nevertheless to be symbolic for a vastly improved cooperation of the two navies against a common opponent: piracy. Dit bericht werd geplaatst in Piraterij en getagged met China, Evertsen, EVTN, piracy, Piraterij, PLA Navy, Somalia, Somalian. Maak dit favoriet permalink.